He led one of the biggest ever Australian rock bands with millions of fan around the world before his untimely death in 1997. And in February a documentary on the life of INXS singer Michael Hutchence will show the personal side few people know, from the people who knew him best. Ron Creevey, who is making the documentary with the singer’s former producer Danny Saber, said the late musician was a tireless artist who ‘had a love affair with life’. ‘A whole new generation is going to fall in love with him,’ he told Daily Mail Australia on Friday night. The owner of X Studio in Sydney’s Kings Cross said it would focus on his life and legacy, and paid ‘zero attention to his death’, unlike the 2014 miniseries Never Tear Us Apart. ‘He should never be remembered how the miniseries portrayed him, because that’s not as important as how he lived. It’s just that death is what sells,’ he said. ‘The story is about how he lived not his death, he shouldn’t just be remembered just about how his life ended. The documentary is completely focused on the solo career Hutchence was forging as INXS’ popularity waned, which included forays into acting and work on new albums. ‘I think there will closure for a lot of people. He died suddenly and tragically right before his solo career really took off,’ he said. 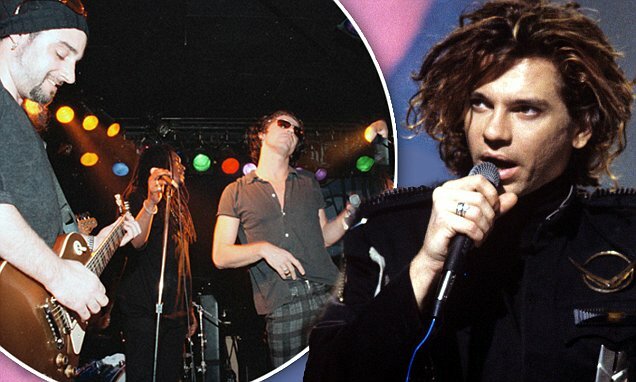 Creevey and Saber were also working on completing unreleased 15 songs Hutchence had been working on when he died, and had discovered diaries and rolls of photo film that he had hidden away, in an attempt to build a picture of his final years. ‘The world has lost a lot of great artists too young – it’s a common pattern that the bigger artists become the more reclusive as they are,’ Creevey said. I like to watch it. What a classless, graceless thing to do. Wander if it will arrive shortly.